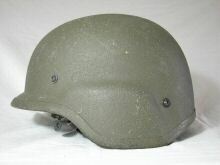 A licensed version of the Schuberth 826, made in the Czech Republic. 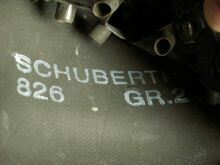 "Czech Army use German Schubert M.286, Czech Petris P 3001 and Russian BS-E 215. 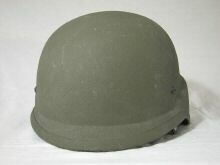 This is standard equipment. 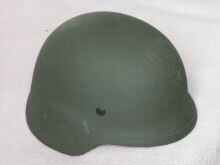 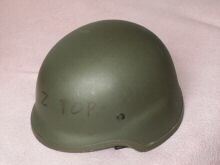 Our troops also use a small number of Swiss, US Mich, French, Slovenian helmets on missions etc." 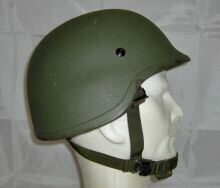 SCHUBERTH clone ? 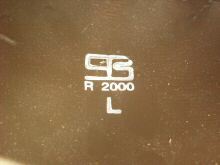 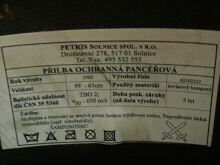 - made by Sestan Busch, Croatia ? 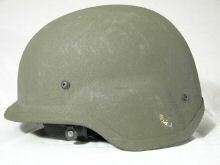 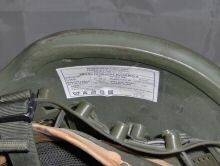 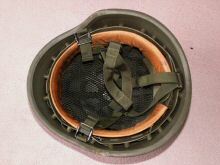 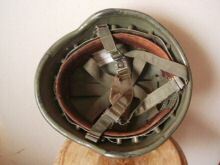 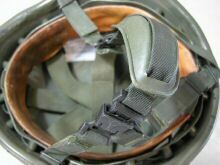 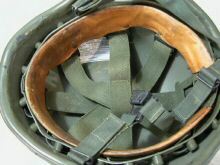 "This is the Russian-made Kirasa BSh-E helmet, manufactured by "Kirasa" in Perm. 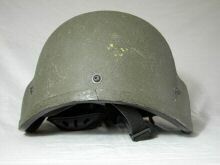 In July 2003 a set of 2000 such helmets (alongside with other equipment) was supplied by Russia to Czech Republic to repay its debt. 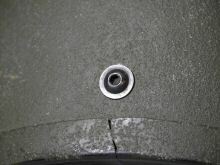 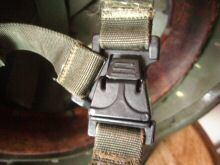 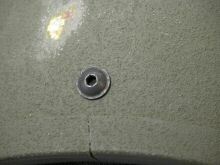 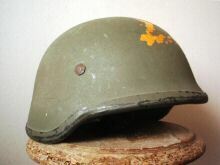 It is likely the helmets were delivered with vz.95 and snow covers. 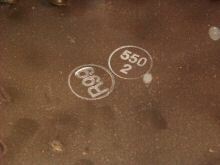 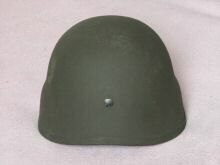 Two sizes were supplied, 1st in 54-57 cm and 2nd in 58-62 cm. 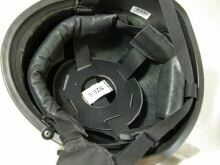 The shell is very similar in shape to Schuberth m826 and is made of Aramid fiber fabric and organic matrix using prepreg technology. 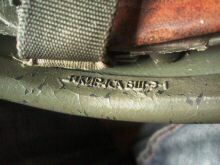 On the back rim, there is a producer marking, stating in cyrillic "Kirasa BSh-E-1". 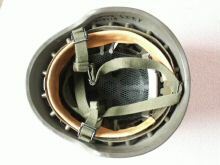 Liner is very similar to that seen on Sestan Busch BK3. 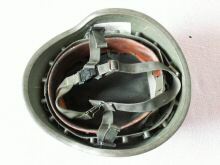 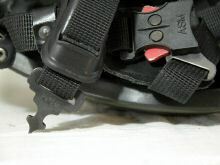 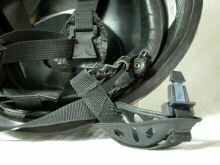 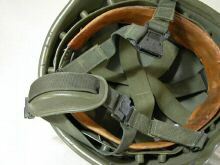 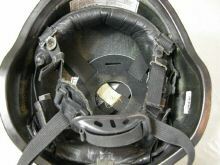 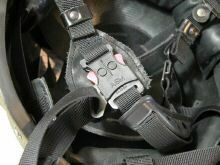 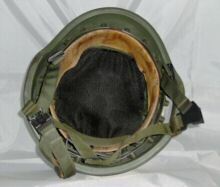 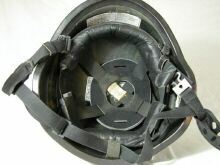 On the pictured helmet, the chincup is made of two straps, but more common is the plastic chincup variation. 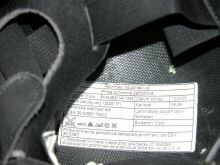 There is also a Czech sticker inside of the shell, stating that the useful life is 5 years (when the ballistic protection is guaranteed). 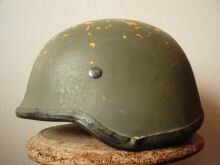 With delivery in 2003, no helmets are supposed to remain in usage with Czech army. " 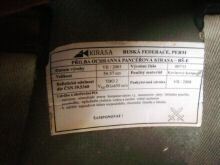 Referring to the Kirasa website, it seems the B model is not longer in production. 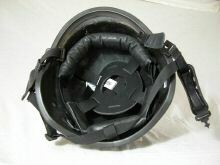 This is an example of the other version - with chincup - referred to above. 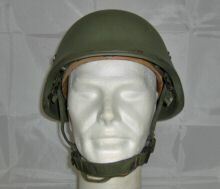 Two versions of this helmet - essentially identical except for the chinstrap catch. 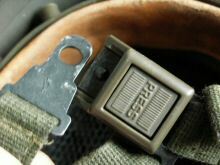 This one, with the simpler plastic catch, is apparently the earliest version issued by the Czechs. 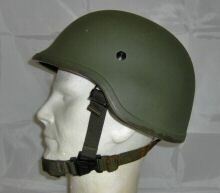 Two versions of this helmet - essentially identical except for the chinstrap catch. 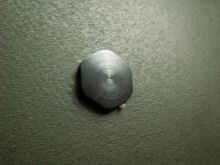 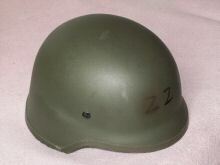 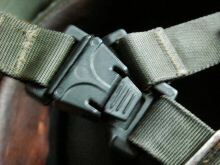 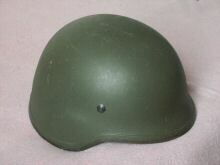 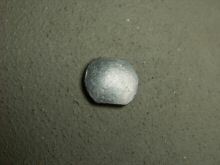 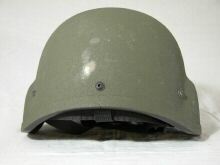 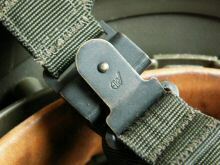 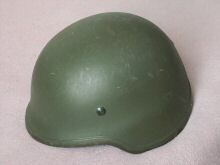 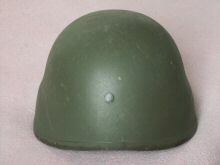 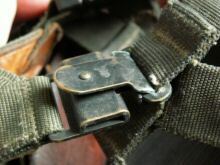 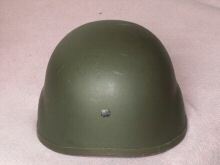 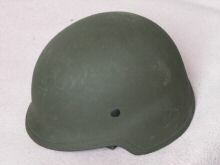 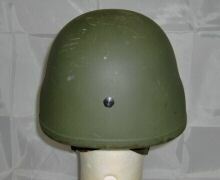 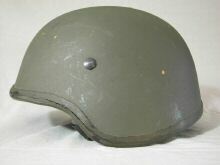 This is a later edition, with a more robust metal catch which is similar to that seen on certain Canadian, German, and Danish helmets. 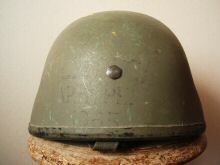 I'm not at all clear what the actual designation of these helmets is in Czech service, so I am simply using the topline information as shown here. 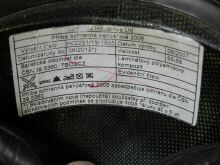 What does seem the case, however, is that this label is at least in part a warranty-expiry notice, stating that the helmet can not be garuanteed after five years - in this case it ran from 2008 to the end of 2013. 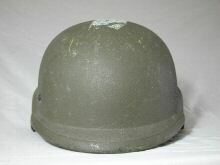 Which may explain why these helmets have been removed from service. 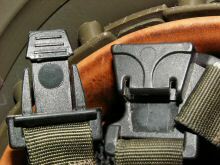 Is this actually a genuine consistent difference between these two versions - the bolt heads of the early (left) and the later (right).